Your stomach hurts after drinking because alcohol can damage the inner lining of the stomach. Luckily toast, yogurt, rest, and many others can help! Stomachache after drinking alcohol is a common symptom experienced after binging drinking. Alcoholic drinks affect the gastrointestinal tract first, before the rest of the body. Chronic intake of alcohol can alter the structure and function of the gastrointestinal tract, leading to abdominal discomfort, stomachaches, heartburn, and acid reflux. 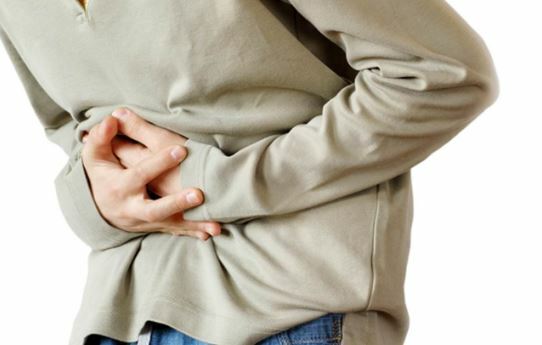 Stomach pain may also be a sign of something more serious than just a discomfort due to alcohol drinking. It is therefore important to know what the possible causes of the stomach pain are, how to treat it, and ways to prevent it. Why Does Alcohol Cause Stomach Pain? Alcohol is a chemical substance that is rapidly metabolized in the body, and is known to generate reactive oxygen species. As a pro-oxidant, it causes oxidative damage to the cells and tissues in the gastrointestinal tract. Drinking too much alcohol or drinking repeatedly can trigger stomach inflammation or gastritis, which can lead to ulceration of the stomach lining. This can cause severe stomach cramping and pain, and sometimes, acute bleeding. Alcoholism can also cause shrinkage of the gastric lining (mucosa) which decreases the secretion of gastric acids. The loss of gastric acids can increase one's risk for gastric infection by bacteria called Helicobacter pylori, peptic ulceration, and inflammation (gastritis). Drinking alcohol chronically may lead to inflammatory bowel disease, which is often manifested by abdominal discomfort and diarrhea. Alcohol consumption can also trigger inflammation of the pancreas (pancreatitis) which can cause severe abdominal pains. These are often accompanied by nausea and vomiting. Stomach pain may also be caused by chronic cholecystitis, a disease of the gallbladder. This condition is characterized by the formation of stones in the gallbladder, otherwise known as gallstones. On the other hand, biliary colic, or contraction of the gallbladder that causes a steady pain in the right upper abdomen and radiating to the back, can also be triggered a couple of hours after drinking alcohol. Chronic alcoholism can lead to liver damage or alcoholic liver disease which may cause liver enlargement, inflammation, and abdominal pain. Stomach pain is usually the result of increased levels of stomach acid in your stomach. 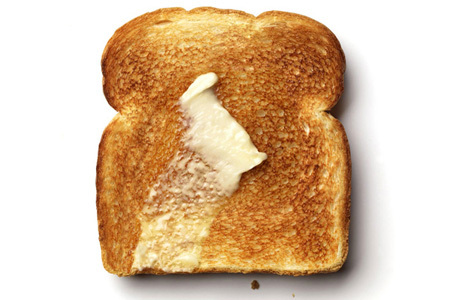 That is why eating something as dry as a toast may help soak up that acid. You can also enjoy salty crackers to get the same result. This will help relieve stomach pain and make the heartburn less severe. A cup of yogurt is also good for your digestive system mainly because it is a good source of lactic acid bacteria. Combine yogurt with a toast to get better results. You may find it easier to deal with your stomach pain after drinking if you opt for some probiotic yogurt. Mint tea is an old yet an effective way to treat your upset stomach. All you have to do is prepare a cup of warm mint tea and enjoy it slowly to treat your hangover stomachache. 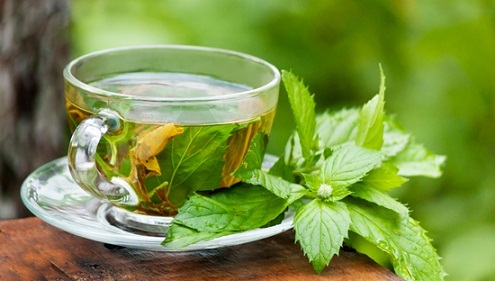 If you do not want to drink mint tea, simply chewing on fresh mint leaves may still help. Just like mint tea, ginger tea can also help relieve the pain and discomfort you experience after drinking alcohol. If you are not feeling nauseous and can eat something in the morning, be sure to include some ginger to your food. If it seems difficult to eat anything, simply make yourself a cup of ginger tea and drink it slowly to relieve nausea and alleviate stomach pain. To make ginger tea, boil two cups of water and add 2 pieces of peeled and sliced ginger root to it. Let it simmer for 15 minutes over low heat. Finally, strain it and add some lemon and honey for taste. Drink it slowly! Chicken soup will always work great to relieve stomach pain after drinking because it provides you with important nutrients and even helps reduce dehydration. 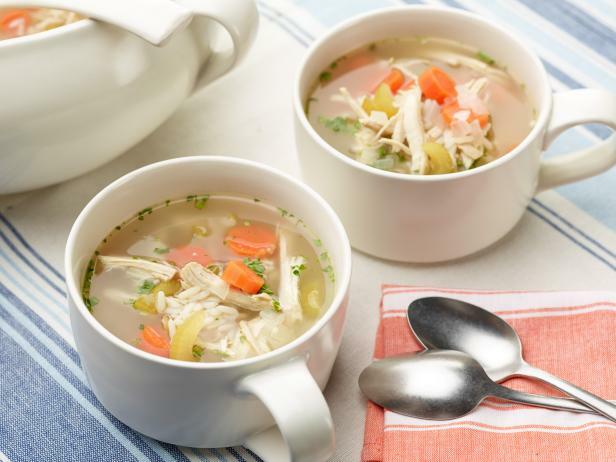 It works by restoring the electrolyte balance in your body, which is the reason why you feel better soon after having a small bowl of chicken soup. Alcohol is bad because it dehydrates your body and also lowers your levels of vitamins and minerals. This is the reason why it is important to drink water and eat something that would provide you with those essential vitamins and minerals. Bananas are great in this regard. A ripe banana provides you with a good dose of vitamin B, which helps relieve stomachache and nausea. Many people go for pickles to help deal with a hangover, and it proves effective in most cases. 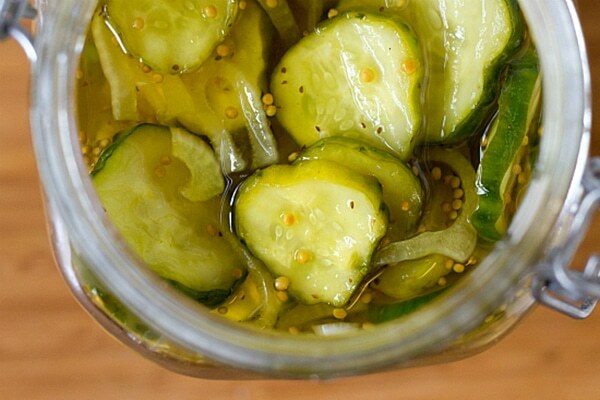 Pickles are rich in many vitamins and minerals. For instance, you get iron, vitamin A, calcium, potassium, and manganese from pickles, all of which can help improve digestion and relieve stomach pain. Drinking lots of water to stay hydrated. Taking fruit juice to replace lost fluids, salts, vitamins, and minerals. You can also add honey to juice because it is believed to burn alcohol faster. Resting and sleeping can reduce hangover symptoms including stomach pain. Eating a balanced diet a day after alcohol drinking can restore normal blood sugar levels which can reduce nausea, vomiting, and stomach aches. Avoid taking non-steroidal anti-inflammatory drugs (NSAIDs) which can trigger stomach pain. To prevent stomach pain after drinking alcohol, eat food before drinking. A full stomach will prevent rapid absorption of alcohol in the stomach lining. Avoid drinking alcohol at a fast pace by drinking a glass of water between drinks. This will not only help keep you hydrated but will also prevent you from drinking excessively. The best way to treat the stomach pain after alcohol drinking is to control the habit of drinking excessively. Although experts believe that drinking a glass of wine or a bottle of beer occasionally has certain health benefits, drinking to excess is not healthy, and is a sure way to damage one's body. Avoid drinking alcohol, especially if it causes health problems like stomach pains. For most people, abstaining from this substance can prevent symptoms from recurring. However, in people who have a long history of alcohol drinking, damage to the gastrointestinal tract, including the liver, pancreas, and gallbladder, may be irreversible. Medical consultation is needed to treat the underlying condition causing the stomach pains and other related symptoms.